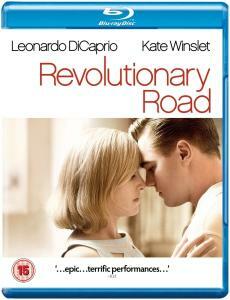 Ten years after appearing together in the Titanic, co-stars Leonardo DiCaprio and Kate Winslet reunite once more in this beautifully created film.Revolutionary Road is set in 1955 and follows April and Frank Wheeler a young, thriving married couple with big ideas. The couple have always seen themselves as special and when they moves to Revolutionary Road in prosperous Connecticut with their children, they attempt to steer clear of the suburban environment that surrounds them, to be different. However, the Wheelers soon find themselves becoming exactly what they didn't expect, Frank a good man with a routine job and April, an unhappy housewife. On the surface they seem to have it all, but behind there self-assured masks, lies frustration. They are deeply unhappy and have an inability to feel content in their relationships or careers.Determined to break free from their fates, April devises a bold plan to leave and start all over again, in the exciting and great unknown of Paris. But when the plan is unveiled, each partner is pushed to the limit - April wants to escape whatever the cost, but Frank is desperate to save the family and their lives together, no matter the compromises.Revolutionary Road is a film about searching for meaning but being constrained by social expectations and eventually the dreams of youth slipping out of reach.